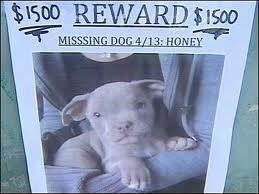 We see ‘Lost Pet‘ flyers almost everywhere we look. On telephone poles, mailboxes, taped to signs at the park, posted to bulletin boards at grocery stores, on the walls of our vet offices, etc… It’s gotten to the point where some people have grown immune to them, as if they don’t even bother to look at and read them any longer. 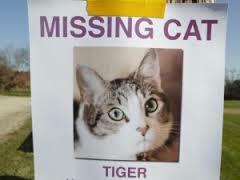 Personally, I am a member of several local ‘Lost Pet’ groups. I receive a message each time someone posts a lost pet picture and information, so that I can head over to that location and help look for it. Some of these stories are absolutely heartbreaking. It’s so sad to know that a diabetic cat ran out the door, and won’t be able to receive its insulin shot. To think of these pets being frightened, panicked and alone, can just be too much to bear. Pets can become lost in many different ways, but most cases have the same thing in common. In each case, they were preventable. I write this blog post today particularly because it is the holiday season. Most people become preoccupied with the additional activities the holidays bring us. Many of us get busier with work, or busier trying to finish more work in order to take time off during the holidays. We have parties to attend or throw, shopping to do, cooking or catering to prepare for. It can be easy to neglect our furry loved ones. 1). Start Early. You know the holidays are coming. We all know what happens after Halloween. It’s never too early to be prepared. 2). Make a To-Do List. It’s always helpful to write down, and see the tasks you need to finish in order to be prepared. Plus, it feels good to check those tasks off the list once you complete them. A nice sense of accomplishment. 3). Think about your pets, and their needs. Purchase everything they will need until January. The holiday season starts November 1st, and runs through January 1st. Go ahead and purchase everything they will need to get them through. Extra food, litter, toys, medication, treats, etc. You don’t want them running out of anything. 4). Check and schedule all appointments they may need. Is their annual vet checkup due soon? Consider calling your vet, and getting the appointment taken care of early. Will you be traveling at all during this time? 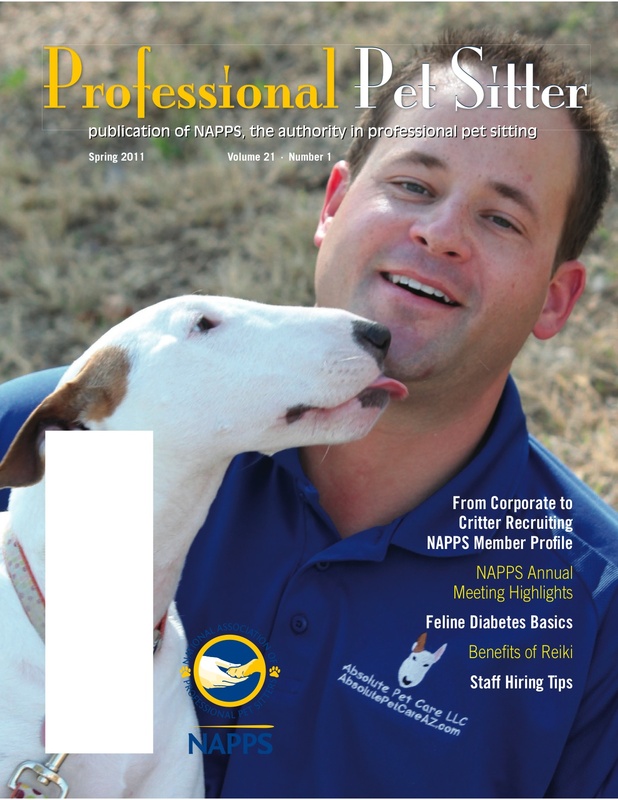 Call your professional pet sitting company to make sure your pet sitting appointments are booked. I know that here at Absolute Pet Care, we usually start receiving holiday reservations right around Labor Day. It’s never too early to book. 5). Take the proper steps for prevention. 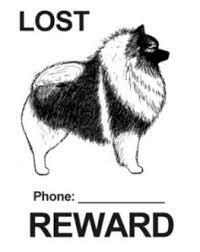 Think what you would do if your pet became lost. You would probably wish your pet were microchipped, to help someone identify him/her. So make an appointment to have them chipped. You would want to make up flyers to post around your neighborhood. So make sure you have current, up to date pictures of your pets. You will need them. Also, check to make sure their I.D. tags on their collars are updated and legible. Some tags can become so worn out, they are difficult to read. You want to make certain people can read your phone number. Also, consider adding ‘REWARD IF FOUND’ to your pet’s tag. Always, and I mean ALWAYS, keep your pet’s collar on. I know you may think it is uncomfortable for them to wear it at all times. 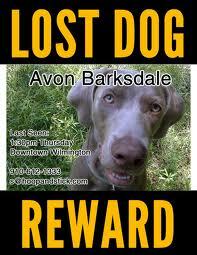 Lost pet situations just happen, they are never planned. It’s best for them to have their collars on if they become lost. You’ll regret it if they don’t. 6). Don’t be afraid to enforce the rules. The holidays are a common time for more pets to become lost simply because so many people may be coming or going. If you have guests, make sure to explain how careful they need to be when coming or going through your doorway. Some people don’t have pets, and they don’t know how to be protective to make sure they don’t escape. Don’t be afraid to speak up and teach these people. Your pets are worth it. Where can I get my dog microchipped? I had arranged to have it done when he was neutered at a mobile clinic, but they were out of chips and I’ve neglected to make another arrangement! I recently found a dog and was so grateful she had a microchip so I could get her back to her owner, but it terrified me about losing my baby! Wow! So glad to know you were able to return the dog to her owner. Yes, chips are very important. I’m not sure where you are located, but I would call my vet to see if they could do it ASAP. Also consider calling your local animal care and control. I know they may be able to do it as well. Also, just FYI, every time I bring my dogs to the vet for a checkup, I have them scan my dogs with their wand, just to make sure they can easily find their chips. I have heard cases where after a few years, the chips have moved around on the dog’s body and have been difficult to find.